Across the country, rural communities are fighting for economic survival. Whether they’re suffering from farmland erosion, or from the decline of once-booming industries such as mining and manufacturing, rural cities and towns have witnessed dramatic losses in downtown investments along with young residents seeking greater opportunities and more amenities. As information- and technology-based industries become a larger part of the national economy, rural communities with limited broadband connections are struggling to keep pace. To help rural places get up to speed, Smart Growth America is working with the U.S. Department of Agriculture, U.S. Environmental Protection Agency, and the Appalachian Regional Commission on Cool & Connected, a technical assistance program to help rural communities find new economic opportunities by providing planning guidance for sustainable downtown development and investments in broadband, or reliable, high-speed internet access. Many rural communities are actively seeking new opportunities to drive economic growth but are restrained by inadequate broadband access. Businesses need fast and reliable connection speeds to process payments and orders, participate in online commerce, and stay competitive in an increasingly tech-oriented economy. Anchor institutions such as schools and hospitals are unable to move and manage information quickly and provide public services as efficiently as possible. Helping rural communities bridge the broadband gap is critical to strengthening the region’s economy. We recently held the first of our Cool & Connected workshops in Williamson, WV and Zanesville, OH, two communities in the Appalachian mountains. Providing access to broadband is particularly challenging in Appalachia, where the mountainous terrain and lower population densities deter broadband providers from installing infrastructure. Zanesville, OH and Williamson, WV each applied for and won a two-day Cool & Connected workshop led by a team of representatives from SGA, EPA, ARC, and USDA. Information technology consultants Broadband Catalysts and Design Nine were also in attendance to provide their expertise in executing broadband planning initiatives. Surveying a map of downtown Williamson, WV at a community presentation. The workshops brought together local leaders and residents to evaluate current and potential local policies, and to strategize potential ways local organizations, businesses, anchor institutions, broadband providers, and other entities could work together to attract downtown investment by way of broadband. The technical assistance team facilitated discussions and group exercises to help distill the community’s ideas and priorities into an overarching vision with specific goals and actionable steps—identifying the key players and funding strategies to achieve each item. 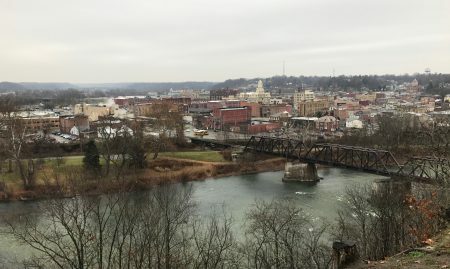 Zanesville, OH is working to rebuild a vibrant downtown by capitalizing on its active arts scene, small business community, historic architecture, riverfront events, and unique bridges. 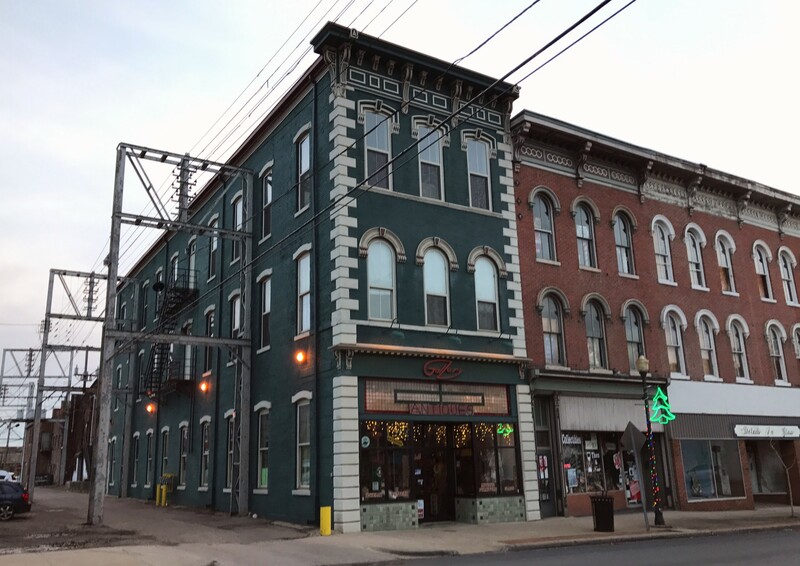 Throughout the early 20th century, downtown Zanesville was a thriving economic center, offering access to rail and major waterways, and abundant natural resources that promoted industries such as pottery, manufacturing, and logistics. Conveniently located between Columbus, OH and Pittsburgh, PA, Zanesville served as a prominent gateway for east to west commerce and travel. The city is steeped in history, previously serving as the Ohio state capital and as an important stop on the Underground Railroad. Zanesville’s population peaked in 1950 with over 40,500 residents. But as the nation became more suburban and less industrial, the city soon began to experience population decline. Disinvestment in the downtown was made worse by the addition of Colony Square Mall in the early 1980’s. Today, Zanesville’s median income is $26,240, well below the $53,482 national average. Nearly 31 percent of its residents live below the poverty line. 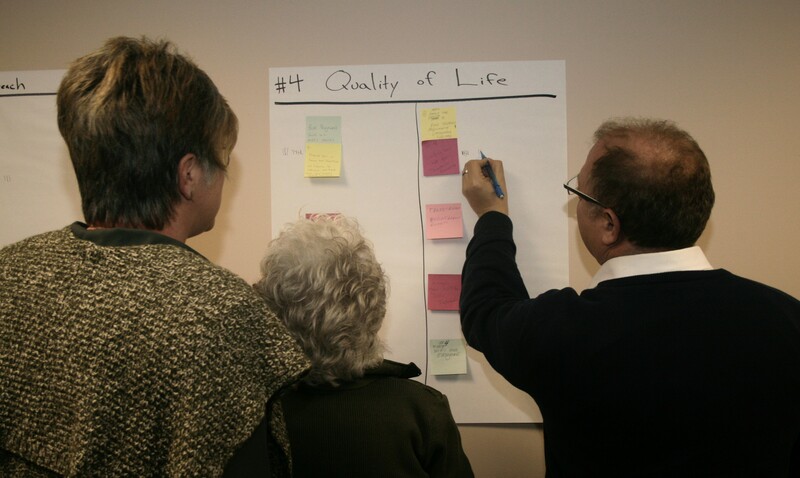 Zanesville’s downtown small business owners participated in a group exercise at a Cool & Connected community stakeholder workshop. 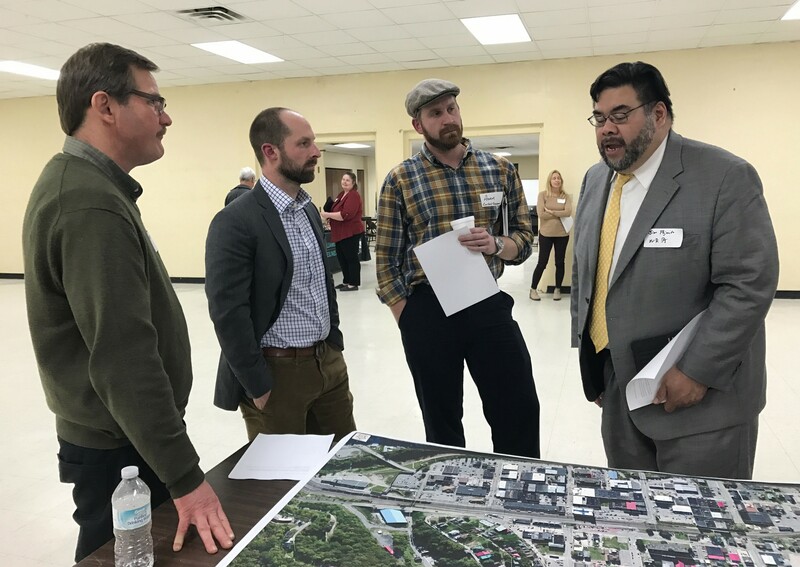 The Cool & Connected Program comes at a critical juncture for Zanesville, as the city looks for new ways to bring investment back to their downtown. While the city has experienced slower growth in comparison to the rest of the county and state, the feeling throughout Zanesville is that the community has begun to turn a corner led by private sector investment, an active arts community, and a proactive city government looking to strategically invest in the downtown. The city sees their rich history as an integral piece of their identity and a foundation for their future growth. 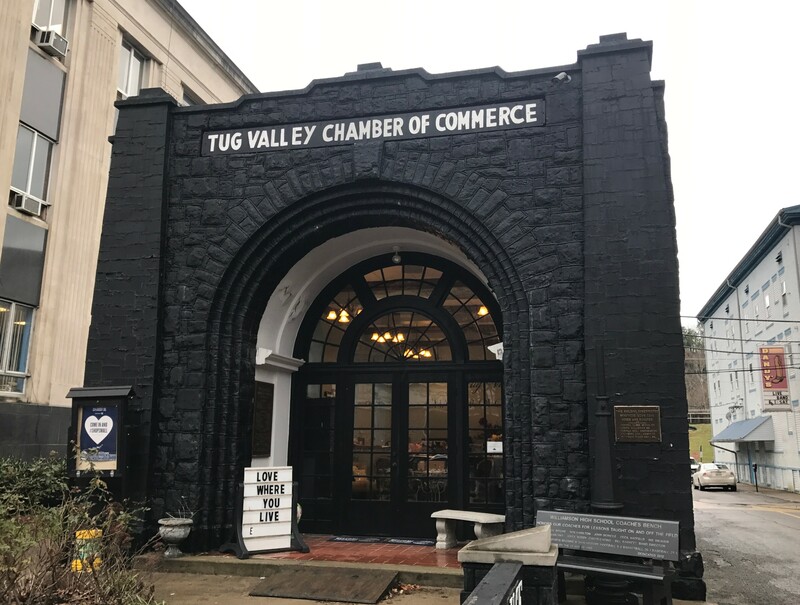 The Coal House, built in 1933 from 63 tons of coal, is a downtown icon of the region’s mining heritage and currently serves as the Tug Valley Chamber of Commerce. Williamson, WV is laying the groundwork to become a local and regional center of health, a destination for outdoor tourism, and a passage to Appalachian history. Built upon the coal industry, the town was founded in 1892 when the Norfolk and Western Railway (now Norfolk Southern) connected to Williamson. Williamson is home to the famous Hatfield-McCoy Feud, which is a draw for visitors, and hosts the annual Hatfield-McCoy marathon and reunion. The Hatfield-McCoy recreational trails connect Williamson to the surrounding mountains and communities. Although Williamson is a center of commerce for Mingo County, the economy has heavily suffered from the decline of the coal industry. In 2010, the Appalachian Regional Commission named Mingo County as one of the ten most distressed counties in central Appalachia. In 2015, Mingo County had an unemployment rate of 13.1 percent—the highest in the state, and considerably higher than West Virginia’s unemployment rate of 6.7 percent. In addition, Williamson has some of the state’s highest rates of diabetes, hypertension, and obesity. Hard work and the perseverance of local champions are helping Williamson turn these challenges around. 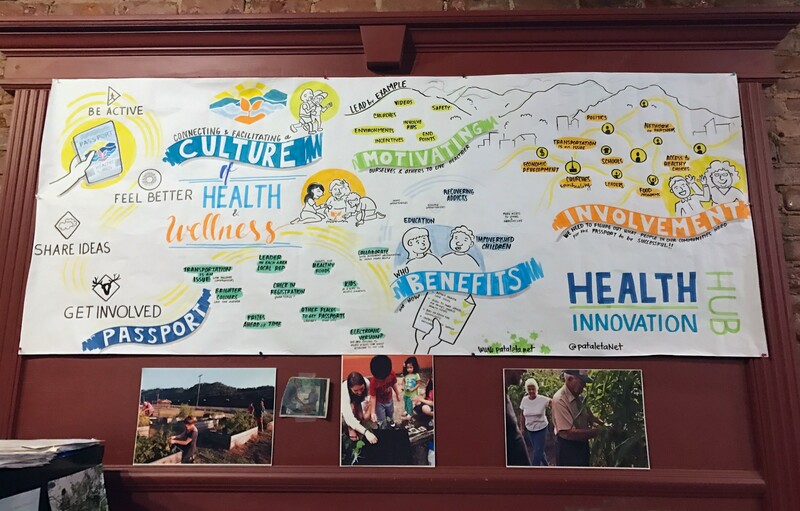 The establishment of the Williamson Health and Wellness Center (WHWC), a Federally Qualified Health Clinic, in the heart of downtown has inspired a public health movement and a greater sense of community in Williamson. In addition to anchoring the downtown and creating high-paying jobs, the Center has brought a weekly farmers market, community garden, and recreational programming such as marathons. Through Cool & Connected, the Center hopes to build on this momentum and use broadband access to improve health care technology in the region, cultivate a skilled workforce, and attract more visitors to Williamson’s access to recreational activities. Rural communities across the country have abundant natural beauty and a heritage of hard work. By bridging the broadband gap, these communities are creating a new resource for their current residents and making themselves more competitive in the national economy. We look forward to working with more communities like Zanesville and Williamson as part of our Cool & Connected work in the months to come.